Joe Lehnert’s practice focuses primarily on negotiating and advocating on behalf of KMK clients in a wide array of business disputes, with a concentration in the areas of creditors’ rights and bankruptcy litigation. Joe has represented secured and unsecured creditors, debtors, lenders, investors, purchasers, commercial landlords and tenants, and receivers and other court-appointed fiduciaries in state and federal trial and appellate court proceedings, including collection, eviction, foreclosure, receivership, dissolution, and bankruptcy reorganization and liquidation. Joe also advises clients in commercial loan workouts and out-of-court restructurings, including loan modifications, forbearance agreements, and loan sales. By leveraging the resources of a full service law firm, Joe is able to develop creative and pragmatic strategies to carry out the business and personal objectives of KMK clients. 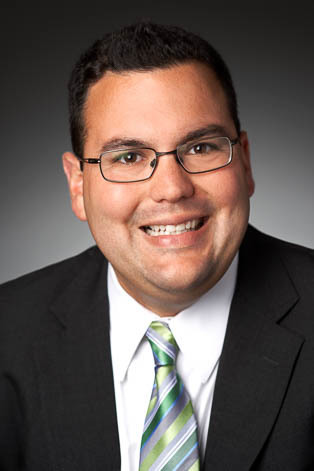 Joe is significantly involved in KMK’s diversity and inclusion initiatives, including serving on the firm’s Women’s Initiative and contributing to the KMK Diversity & Inclusion Newsletter. Joe has also served on the firm’s associate liaison committee, and he regularly participates in the firm’s attorney recruitment efforts and summer associate program. Obtained summary judgment on non-dischargeability claim in favor of judgment creditor in bankruptcy court and successfully obtained affirmance of summary judgment before the Sixth Circuit Bankruptcy Appellate Panel and the Sixth Circuit Court of Appeals. Obtained summary judgment in favor of defendant commercial real estate purchaser in breach of sale contract action by seller including award of return of earnest money deposit. Represented creditor and debtor’s designated responsible person in Chapter 11 evidentiary hearing on senior secured lender’s motions for relief from stay and to dismiss and successfully obtained denial of the motions. Represented creditor and plan proponent in obtaining confirmation of individual Chapter 11 plan of liquidation. Represented residential mortgage lender in Chapter 13 evidentiary hearing on valuation of real estate and successfully obtained determination that lender’s claim was fully secured by real estate. Represented receivers in Court-approved receivership sales free and clear of all liens. Represented loan and judgment purchasers in subsequent mortgage foreclosures and foreclosure sales. Represented secured creditors in negotiation and drafting of forbearance agreements both pre-litigation and post-judgment.